What is this thing called Jing? 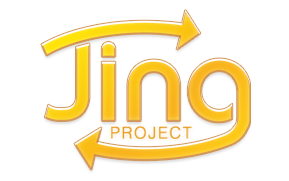 "The concept of Jing is the always-ready program that instantly captures and shares images and video…from your computer to anywhere." Capture Images - Snap a picture of anything on your desktop. Record Video - Record video of what you do, or what you see. Share Online - Instantly uploaded. Share in email, IM, or blogs. Jing is no doubt a cool, easy-to-use and convenient free tool to capture any activity happening on the screen (Especially great for IT training and courses) and share it online in a SWOOSH (this is certainly the super feature of this tool compared to others). Although, it has a few weaknesses worth reflecting before getting too excited about it (check out this this article), I believe what ever shortcomings it has it will be dealt with sooner rather than later, because the company behind this tool is none other than TechSmith, which is the mastermind behind Camtasia, SnagIt, and so on. 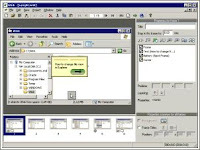 That is were the real problem starts, if anyone can remember the super tool CamStudio (I recommend a try), which also was ahead of its time until TechSmith took over and that was it (no real progress until recently). 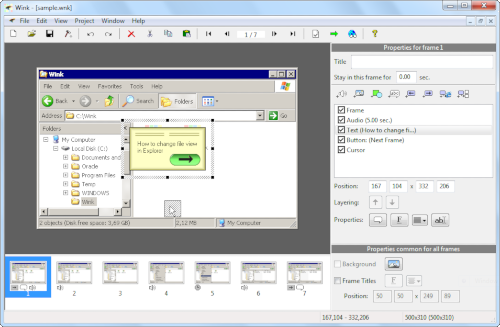 It had no choice if it wanted to keep Camtasia alive (Free easy-to-use CamStudio with its Flash conversion capability was certainly a threat at that time to commercial screen capturing software). So, again Jing might go the same way, by enabling us to get a few juicy stones for free, but we would need to pay for the real juice (Coming soon). However, I do hope it has learnt a bit from Google, which is able to make revenue from free tools in a creative way (indirectly). Otherwise, our joy with the uniqueness of Jing might not be so long-lived. Cross-Platform: Available for all flavours of Windows and various versions of Linux (x86 only). Multilingual support: Works in English, French, German, Italian, Danish, Spanish, Serbian, Japanese, Brazilian Portuguese and Simplified/Traditional Chinese.